The internet is definitely a strange place where everything moves at a lightning fast pace but still follows some vague guidelines and patterns that are often really hard to analyse. Content marketing is something that appeared only several years ago as a standalone phenomenon. Before, specialists used to think about content marketing as just a small portion of actual internet marketing. Dating site content should never be full of news and trending stories. Using social media outlets and keeping up with the most recent developments in cultural world is extremely important for marketing purposes, but your main content must be “evergreen”. This term was coined not that long ago and refers to content that maintains its relevancy over a long period of time continuing to generate traffic months and years after the publication. Any dating site marketing plan should focus on creating impactful engaging content capable of luring in visitors and possibly converting them into actual clients and users way before your ads and landing pages start hitting them with calls-to-action. Marketing dating sites is an intricate venture and requires both patience and enthusiasm. Those who concentrate all their effort on maximising frequency over quality will always fail. While making Kessel run in less than twelve parsecs is great, it often makes your ship suffer heavy damage. You are not in a hurry, so take your time and create truly evergreen content. “What does it even mean?” you may ask. Evergreen content marketing means perpetuity of existence and refers to articles that cover topics capable of maintaining relevancy over years. A news about recently released Tesla car will be huge for several weeks, but will quickly lose its potency within months or even weeks after publication. On the other hand, a well-written article about how Tesla car operates and how it interacts with the environment will keep relevancy as long as people discuss the very concept. The content will be relevant to these users maybe for decades. A truly evergreen piece of content is usually a great helpful article about something that your audience may be interested in. If you just buy dating traffic, you will quickly notice that there is a decline in incoming viewers and users shortly after you stop purchasing. However, if you have a blog with really great articles that attract views, you will have a steady income of useful convertible traffic. Even a silly humorous essay with a cheesy name like “Crazy Tips to Make Your First Date Memorable” will continue getting your users simply due to the fact that people love to find new exciting ways to colourize their dates. OkCupid’s blog is a perfect place filled with content like that. They do not focus on news and try to present information that will be perpetually interesting to their core audience – people who want to find a romantic adventure. It is not a surprise that websites capable of releasing content systematically attract more views on average compared to websites that cannot be consistent and publish their articles on schedule. Sticking to the plan is the top priority for any company. This is why you need think through your dating site content and make sure that you can keep up with the pace established initially. Don’t try to publish 3 articles per week if you don’t have time for it. Content marketing is an excellent tool for all businesses that want to bet on longevity and success in the long run. This does not work for quick cash grabs trying to take advantage of a new trend. Content marketing is generally a good idea for companies that need a steady inflow of potential clients. A crucial thing here is understanding that consistency brings consistency. If you publish your evergreen articles systematically, views, and consecutively, conversions will also be systematic. Focus on smart content marketing that allows you to build relationships with visitors and regular users. Create articles that teach readers about important things that can change their lives. eHarmony is a great example of how well one can make regular content updates impactful in the long run. They release a new material each 3-4 days and try to focus on tips to overcome insecurities and elevate one’s self-esteem. Written articles surely attract people who like to read, but you definitely miss out on people who enjoy video content and listen to podcasts. However, you should not try to focus on only one type of media. First of all, you may run out of budget fairly quickly. Second, you will need to hire a whole bunch of professionals to consistently dish out high-quality content. However, you can definitely focus on writing or releasing simple podcasts while also delivering several quality videos per months or collaborating with content creators on YouTube and Facebook. Having a diverse approach to content marketing attracts a wider audience ultimately making your efforts more resultative in the long run. While merging together videos, podcasts, and written content is usually something you could find on Forbes and other news sites, you can definitely take the same approach and create engaging multidimensional evergreen content and ensure high quality dating traffic exchange between different media outlets. One of better examples is PlentyofFish, these guys run a very successful YouTube channel alongside their blog making an ultimate effort towards a better future for themselves. With a loyal community of users building a good business is that much easier. There are various ways to make interactions with users more productive in the long run. Creating interesting articles is a sure way to establishing connections with people in your community who enjoyed tips and teachings that you have been relaying through your media outlets. Content marketing that embraces the idea of building a friendly community of users usually brings notable results in the long run. Working with your audience may mean lots of things. From encouraging discussions in comment sections to making your own blog a tribune for you loyal users, the range of possible ways to engage with your community is endless. User-driven content marketing is a great thing. If your service is of acceptable quality, hundreds of users will gladly help you to create better and more client-friendly content. Match.com with their “UptoDate” blog really pushes the idea of collaborating with their audience by regularly publishing stories inspired by their clients’ romances and written by active community members. While this point may sound similar to the previous one, it is not exactly the same. While collaborating with your users is a great idea, not everyone has a huge enthusiastic and vigorous community with members willing to put effort into creating content. However, your users will most likely have questions. Lots of questions and ideas. Monitoring them closely and choosing interesting topics for your content will help to make evergreen articles that actually address problems relevant to your visitors. They will read answers to their own questions. Making this type of interactions with viewers a part of your marketing strategy is generally a good idea. Zoosk with its incredibly engaging method of content creating often addresses questions risen by community members and quickly turn them into articles and videos. Their blog is also filled with love stories from their clients. 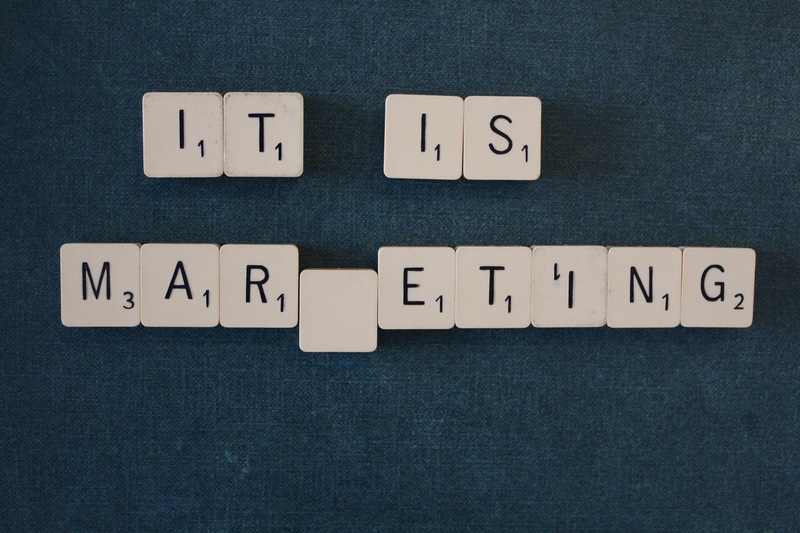 So why does content marketing matter? You may try out various dating traffic sources and focus on purchasing artificially generated traffic, but it will never be as efficient and impactful in the long run as a well thought-through content marketing strategy. To top it all off, content marketing is a relatively cheap tool for any dating website. Instead of spending thousands of dollars on ineffective temporary marketing solutions, you could be writing engaging stories right now. Collaborating with active content creators and bloggers, spreading your articles and other media over various platforms, and actively working towards the creation of a friendly community of users – these should be your main priorities. The photo in this post is by Gemma Villalba at Pixabay.